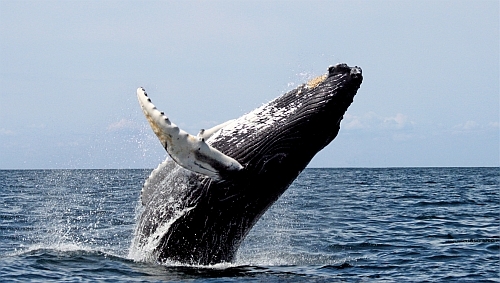 Air Canada and WestJet have dropped the price of their 1-stop flights from Calgary to St. John's, Newfoundland down to $555 CAD roundtrip including taxes. 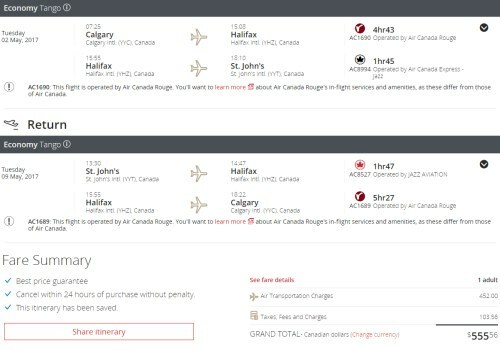 This is about 40% below the typical best roundtrip prices from Calgary to Newfoundland. 2. Click through from Google Flights to the Air Canada website or WestJet website for booking. calgary, yyc, flight deals, westjet, air canada, canada, st johns, newfoundland, yyt and north america. No Responses to "Calgary to St. John's, Newfoundland - $555 CAD roundtrip including taxes"